When he was in his early twenties, biologist Ferdinand Cole Lane, troubled by what he described as “weak lungs” left his part-time job with the Massachusetts Commission of Fisheries and Game and headed for Alberta, Canada, where he “passed the next six months in a log cabin on the remote frontier.” Upon his return to Boston he took a job with the young Baseball Magazine, where he remained some twenty-seven years, twenty-six of them as editor. Born on a wheat farm on the western edge of Minnesota on October 25, 1885 (a year before Ty Cobb and nearly ten years before Babe Ruth, both of whom he outlived by decades), Lane “drifted” (his word) eastward with his parents and three older siblings in the wake of his father’s successive bankruptcies, first to Minneapolis, then Canton, Ohio, and Lowell, Massachusetts, finally arriving at Truro, Massachusetts, near the tip of Cape Cod, when he was seven. Six years later the family moved to Marion, on the other side of Buzzards Bay from Cape Cod, where Lane attended high school at Tabor Academy. He then worked his way through Boston University, receiving his B.A. in 1907, and continued on to graduate study at B.U. (including courses in the law school) and at the Massachusetts Institute of Technology across the river in Cambridge. It was during his university years that he first indulged his lifelong wanderlust and curiosity about the world with a voyage—in steerage—to Naples. Could even Lane himself have imagined this background as preparation for a career in baseball journalism? Baseball Magazine, which began publication in the spring of 1908, was founded by Jacob C. Morse, a Boston baseball writer and author of Sphere and Ash (1888), the first history of baseball. Morse’s new magazine filled a niche. For decades there had been, in addition to baseball coverage in the daily press, baseball annuals and weekly sporting papers, but Baseball Magazine was the game’s first monthly magazine. 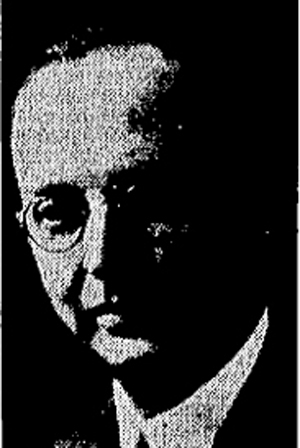 Lane was hired in 1910 or 1911. After a period as associate editor and a month as joint editor with Morse, he assumed full editorship with the January 1912 issue as the magazine transferred its office from Boston to New York. Leverett T. Smith, Jr.—whose biography of Lane for the Dictionary of Literary Biography, Vol. 241 (2001) contains the fullest and most astute assessment to date of Lane’s baseball writing—points out that Baseball Magazine, as a monthly publication, “could take a longer view of events than the daily or weekly papers.” The magazine, to which Lane himself contributed hundreds of articles and editorials—more than a million words in all—featured interviews, reports on the state of the game, biographies, discussion of off-field issues, and innovative efforts to find better ways to measure player effectiveness. Distrusting accepted statistics like batting average, Lane sought (in Smith’s words) “to establish an objective, scientific basis for evaluating player performance.” His suggestions never caught on with baseball officialdom or the baseball public, but his efforts may have helped inspire the precursors of the current sabermetric revolution. More important for those interested in the history of the game, Lane (as Smith points out) “became an excellent interviewer and profiler.” Researchers have in recent years begun to rediscover the riches in Lane’s interviews and biographical essays. The late Jack Kavanagh, for example, found Lane’s writings so useful in researching the lives of Walter Johnson and Grover Cleveland Alexander that he wrote a piece for The National Pastime (1996), an annual SABR publication, to alert SABR’s researchers to this long-neglected writer. Lane would travel throughout the country in the offseason to visit players in their homes. Often he “would be invited to spend several days and would come away with family anecdotes and history,” Kavanagh discovered. “As a result, we have far richer knowledge... than what we learn from memoirs and reminiscences written after their starring careers had ended.” One important byproduct of Lane’s interviews is his book Batting. Quotations garnered from more than 250 baseball figures during Lane’s first fifteen years at Baseball Magazine form the essence of this book. Batting, Lane’s only book about baseball, was published—on cheap paper, with plain brown paper covers and a price of one dollar—by Baseball Magazine in 1925. Legendary SABR bibliophile Frank V. Phelps remembers Batting as “one of the very first baseball books I owned as a youngster,” and recalls that it was offered as a premium for subscribing to the magazine. As Phelps observes, Batting “stands up well against the many books on hitting which have followed through the years,” but its chief interest for readers today may be the insight it gives us on how those who were active in the first quarter of the twentieth century viewed the science and art of hitting. Lane was ambivalent about the slugging game that Babe Ruth had recently brought to the fore. While he recognized the contribution of heavy hitting to run production, he preferred the “scientific” game of place hitting, bunting, and base stealing. Babe Ruth, Lane wrote in an August 1922 Baseball Magazine article, “assaulted not only the home run record but the long established system of major league batting.” In an article a month earlier he had expressed his regret that the recent rise in slugging had been accompanied by a decline in base stealing, “because the stolen base is one of the flashy, brainy plays in baseball and one of the chief elements of a well directed offense.” Like writer Henry Chadwick of an earlier era (Chadwick’s career ended about three years before Lane’s began), Lane preferred the aesthetic excitement of the inside game over the explosive excitement of slugging—brain over brawn. Lane recognized Ruth’s greatness, but always regarded Ty Cobb as the game’s greatest player. Leverett Smith’s novel index to SABR’s 2001 reprint of Batting—which distinguishes the authors of quoted passages from references to persons—records Lane’s bias, showing that Lane quotes Cobb five times as often as he does Ruth, while otherwise Cobb and Ruth are mentioned about equally. Although Lane felt in 1955 that he was “losing the argument with Father Time,” when he left New York in the late 1930s he and his wife Emma—whom he had married in her Brooklyn home in 1914—had nearly a half century of life together yet ahead of them. From their home on Cape Cod— in Wellfleet, adjacent to Truro where Ferdinand had spent his elementary school years—the Lanes traveled the country and the world. For two years—1941-1943—Ferdinand headed the history department at Piedmont College in Demorest, Georgia, where he also taught journalism and geopolitics. In 1941 the college awarded him an honorary doctorate in humanities. After his brief stint as an academic, Lane turned to writing about what had always most enthralled him: the world of nature. In the six years from 1947 through 1952, Doubleday published five books that Lane wrote for the general reader about the sea and the world’s lakes, rivers, mountains and trees. Lane then wrote three volumes over the next four years—on the sea, insects and flowers—for the Random House “all about” series for young readers. After this flurry of science writing, which included a number of encyclopedia articles, Lane self-published his final book—On Old Cape Cod, a collection of his poems—then settled into what turned out to be twenty-six years of quiet retirement, a period equal to his tenure as editor of Baseball Magazine. He died on April 20, 1984, at age 98, just two months short of his seventieth wedding anniversary. Emma died ten months later. F. C. Lane may be the most unjustly overlooked of our baseball writers. Lacking the literary repute of a Ring Lardner, the staying power and self-promotional drive of a Henry Chadwick, the memorable phrasemaking of a Grantland Rice, or the brisk conciseness of a Red Smith, the value of Lane’s baseball writing was taken for granted in his day, then forgotten. Unlike Chadwick, who remained active as a baseball writer until the week he died, Lane left the game at midlife. And unlike Red Smith, he never published a collection of his writings. As Jack Kavanagh wrote in 1996, “A graceful writer, an erudite man, F. C. Lane was more than a contributor to the written word of baseball’s past. He was an adornment.” Lane’s legacy as a baseball writer seems never to have interested him, so it is up to us who treasure his work to return it to public accessibility. This article originally appeared as the foreword to SABR’s 2000 reprint of F.C. Lane’s Batting. The sources consulted by the author are mentioned throughout the article.